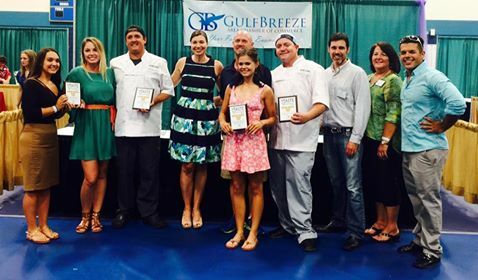 The title of this article is CBB Makes Clean Sweep at Taste of Gulf Breeze! For the second year in a row, Casino Beach Bar & Grille took on Taste of Gulf Breeze! This year, CBB won four Golden Spatulas for Best Appetizer, Best Dessert, Best Beverage and Best of Taste! Congratulations to our team on all of their hard work and thank you to all of you who came out and supported CBB!